Originally published in the November, 2007 issue of the Covenant Companion. For PDF version, click here. 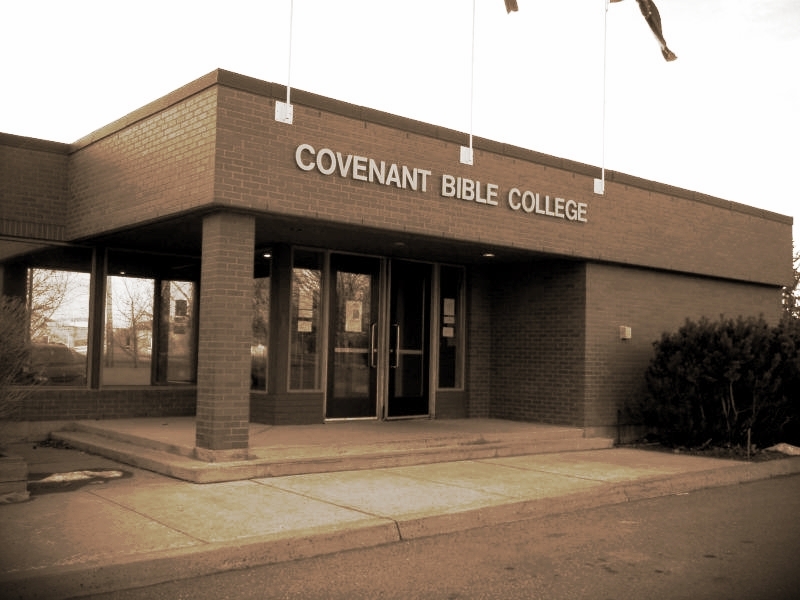 I first heard about Covenant Bible College (CBC) in the late 1950s, while growing up at the Covenant church parsonage in Norquay, Saskatchewan, where my dad was the pastor. Still, I had not planned to go to CBC after high school. 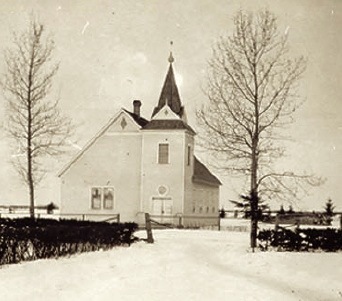 By then my dad had become pastor of the Covenant church in Camrose, Alberta, and there was a college campus across the street from the parsonage. That seemed like the obvious, practical choice for my first year of university studies. Before classes began, I attended a youth retreat at CBC. There I talked with some friends who were planning to attend CBC that fall. One friend seemed surprised that I wasn’t going and asked if I had prayed about it. My answer was no. I had a plan, so why pray when you know what you’re doing? But something stuck with me that weekend and I began to reconsider my decision about CBC. The first thing to do was to see if I could get my summer job back. I’d already quit in order to start classes in Camrose, which began four weeks before CBC. My friends said they would pray that God would work things out. After returning home, I phoned my boss. He told me to come down to his shop immediately and he would sign me up. Four weeks later I went as a student to the CBC campus in Prince Albert. For me, CBC was a community that talked about and reflected upon what God has done, is doing, and will do; on truths learned and revelations experienced. At CBC, I thought more deeply and broadly than ever before about God, his people, his creation, his grace, his justice, his mercy, his love and forgiveness. As students, we were challenged to trust and obey Jesus, and encouraged to wrestle with him, too. We were reminded often that we needed God, his word, and his church—the body of Christ, the community of believers—to live as disciples of Jesus Christ. My wife, Faith, grew up in Prince Albert. Her parents, Tom and Violet Dice, had met at Covenant Bible Institute (CBI). Her dad later became a Covenant pastor, and served for a brief time as acting president of the school. Her aunt, Florence Dice, graduated from CBI and served as secretary and bookkeeper for CBC for many years. As a child, Faith’s parents often invited students to their home, and a number of them volunteered at her father’s churches. She decided to attend CBC (where she spent the 1974-1975 academic year), while in the tenth grade. She had become close to two CBC students and she wanted to follow in their footsteps. Faith couldn’t wait to finish high school and go to CBC, to deepen her relationship with God, to develop close friendships with other believers and become better equipped in discovering God’s truths for her life. For Faith, it was a year of growing and stretching as a disciple of Christ. 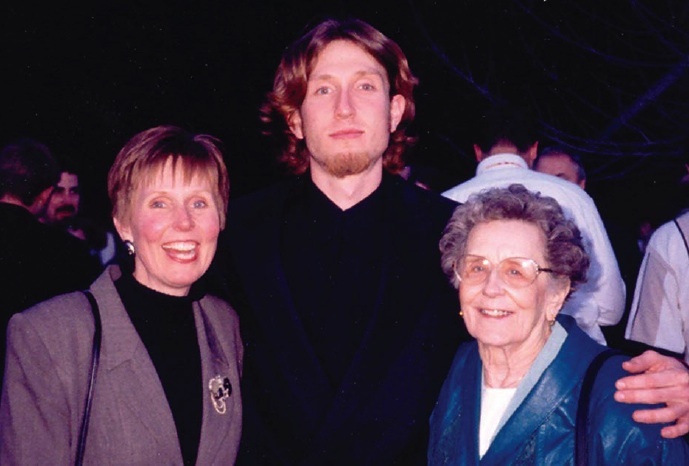 CBC gave her a strong foundation that has shaped her life experiences as a person, wife, mother, and teacher. 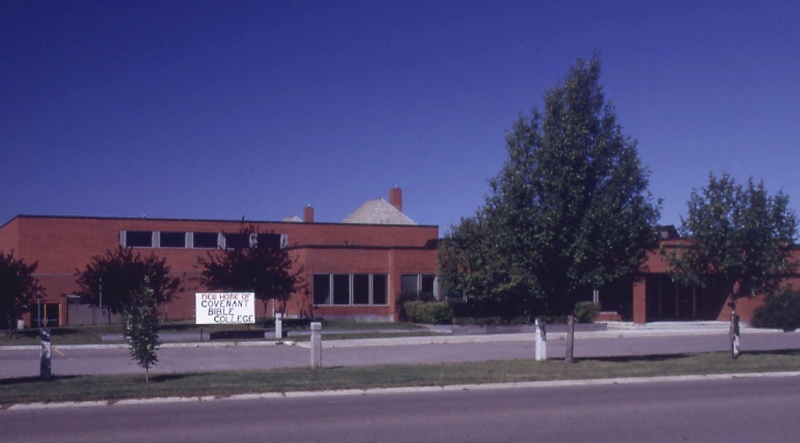 In 1996, CBC relocated to a larger campus in Strathmore, Alberta. The school later expanded to Windsor, Colorado (1998), and La Merced, Ecuador (2000). After years of anticipation, our older daughter Amie realized her dream of going to CBC in 2000. She recalls that teachers and staff encouraged students to ask tough questions about faith, and worked through the answers with them. The role of women in ministry, the often messy history of the church, missions, art and worship, and—perhaps more importantly—how to live in a way that manifests the glory of God, were some of the issues she and others worked through together. Amie was encouraged to pick up the towel as Jesus did and serve others in love. As part of a group of students and staff who traveled to Haiti in early 2001, Amie learned this in a new way. The extreme poverty, the overflowing sewers, the people living in slums, all overwhelmed the senses, yet there was unspeakable joy among the Christians the students met there. Growing up a few blocks from the old CBC campus in Prince Albert, our younger daughter Chantelle remembered having students over for dinner to watch movies and just relax in a “real” living room from time to time. She broke into tears when she had to say goodbye to her classmates after the candlelight service at CBC commencement in 2004. Within the community of CBC, young Christ seekers and followers making the transition from youth to adulthood were affirmed as gifted children of God. Students learned to study the Bible and develop a love for it. They prayed often and hard, aloud and in silence. Faculty, staff and students showed their care for each other, day by day. 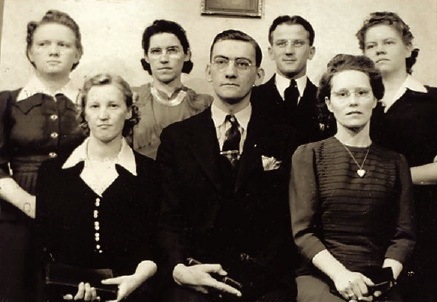 The community of students, teachers, mentors, and supporters offered young people the opportunity to serve God and to minister to others in various ministries—teaching, singing, feeding the hungry, hanging out, worshiping, leading—practicing the skills required and gaining the necessary confidence to use their skills with a servant’s heart in another place, another time zone, another culture. 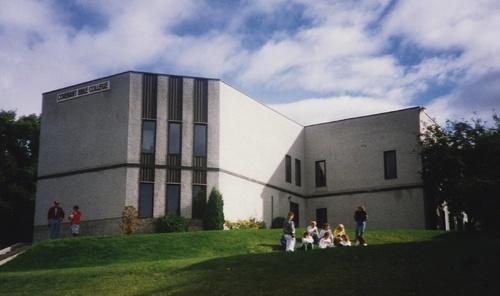 From its beginning in Norquay, Saskatchewan, in the 1940s to its relocation to Prince Albert, Saskatchewan (under the long-term presidency of Wendell Anderson), and later to Strathmore, Alberta, in 1995; and during its expansion to include campuses in Colorado and Ecuador, Covenant Bible College served as a community of grace, equipping young people to impact their family, local church, community, and world to the glory of God. The final graduating class at CBC Ecuador, 2007. Emotions ran deep at the 103rd Annual Meeting of the Evangelical Covenant Church of Canada, held April 27, 2007, at Gateway Covenant Church in Prince Albert, Saskatchewan. Two months earlier, acting president Paul Lessard had announced that CBC would be closing its doors for good. During the meeting, delegates discussed a motion to wind-up the operation of CBC. Delegates—many of them alumni, friends, and supporters of CBC—sadly and painfully considered what had been considered unimaginable: the closure of this significant ministry. Yet despite the pain and the sadness, God’s grace was there. Note: In 2007 when this article was published, Hugh Campbell, a graduate of Covenant Bible College, was a counsellor in the Calgary, Alberta school system. His daughter Amie Gosselin, then working as a communications adviser with Samaritan’s Purse, contributed to this article as well. For more than sixty-five years, Covenant Bible College (CBC) nurtured students in their faith and challenged them to lead lives of committed discipleship. Following the news that CBC’s board of directors voted to close the school, writer Hugh Campbell asked a number of graduates to reflect on their time at CBC. Albert Josephson (1947-1949), a retired Covenant pastor from White Rock, British Columbia, describes his time at the school as a deep spiritual experience. There he studied the Bible systematically under godly, skillful, caring teachers who gave him a passion for evangelism and outreach. Students learned to pray together, live together, study together, and grow together. Pastor and former superintendent Keith Fullerton (1952-1955) of Surrey, British Columbia, remembers something that I.W. 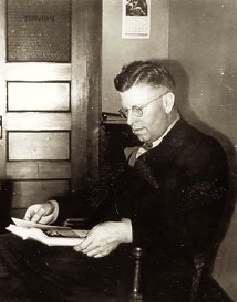 Jacobson had written in a 1955 edition of the school’s paper: “The world and society, of which we are members, are created such that those who have must contribute to those who have not, and this is true in all lines, material, mental and spiritual.” Years later, Fullerton recalled the dedication and sacrifice modelled by the staff. Edie Schneider (1960-1962) of Edmonton, Alberta, describes how CBC had broadened her world. It was a safe place to be after leaving home. Coming from a farming community it was amazing and exciting to be in the same place every day with other youth, studying in the library, reading the Bible, singing in the choir, and leading the Trailblazers in the East End of Prince Albert. Iris Tungseth (1963-1964) of Mound, Minnesota, vividly remembers how students studied together, ate together, washed dishes, scrubbed floors, played touch football, prayed and sang together in a real communal environment. Students had to learn to “get along” and came to love each other deeply, she says. The sale of CBC properties after its closure in 2007 produced significant funds in a truly miraculous way. By investing those funds, Trellis Foundation seeks to honour those who have for generations joined in CBC’s work through prayer, through sacrificial giving, as faculty and staff, and as students themselves.